Carol and Jim were visiting from Houston for a weekend, and thought it would be neat to have me take some photos of their New York City vacation to use as Christmas Cards. They stayed at The New York Palace, which has a gorgeous lobby made even prettier with giant decorated tress, and then we headed out into the cold for shots at the iconic Rockefeller Center and Bank of America's fountain, which has over-sized Christmas baubles "floating" in the middle that made the perfect backdrop for their Christmas card photos. I love these so much! 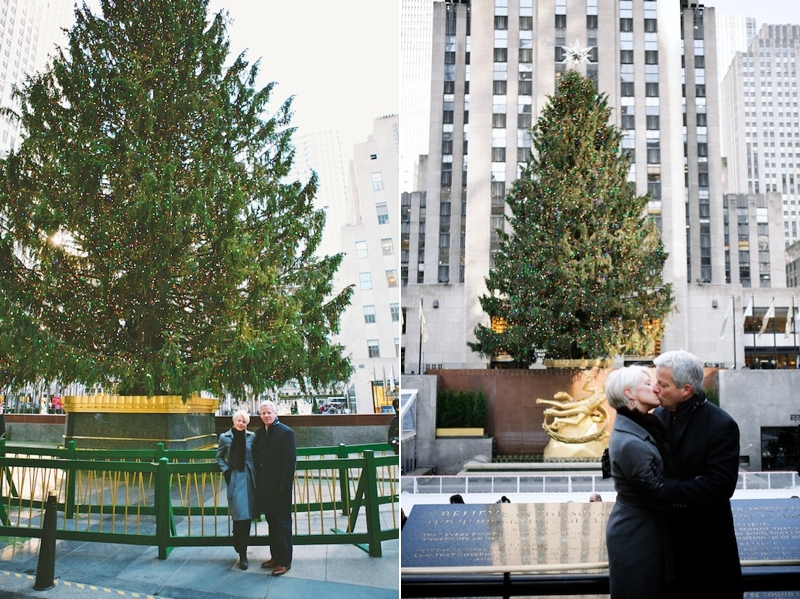 Carol and Jim were so fun to work with, and shooting iconic "New York at Christmas" locations like this was a blast for me.